Our Columbus moving company is where Moving Ahead Services all began, and where we continue to strive to provide the best moving experience for each and every one of our customers. For our professional Columbus movers, moving is a science and our focus on customer service is where our business continues to excel. Schedule your next move in the Columbus area with trusted, expert movers! Call our office and eliminate the uncertainties in your next move. 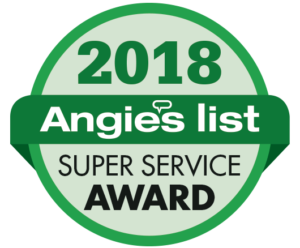 From our office in Hilliard we have easy access around the Beltway, 77 and 71 – From the Bottoms to Upper Arlington, Moving Ahead customers are far and wide in the Columbus area. 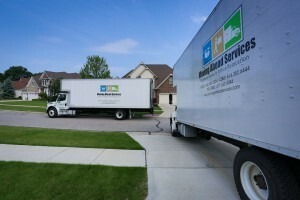 Our professional, family-owned Columbus moving company has provided residential and business moving services for over 10 years, serving customers in all across the US. Specializing in long distance moving services for both residential and commercial customers, as well as local moving for your home or office. 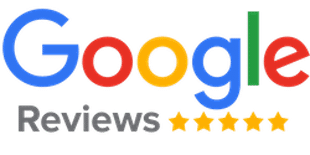 ☆☆☆☆☆ I had a great experience with Moving Ahead. My crew, Aaron and Matthew, showed up on time (early!) and got all of my stuff on the truck without issue. They made the move from Columbus to Cleveland easy, and managed some difficult furniture masterfully. They were polite and professional, and all of my belongings made it in one piece, without damage. The final cost was within the given estimate. I would highly recommend this company to others. ☆☆☆☆☆ On time and efficient. They use a very transparent way of calculating costs. No hidden costs. Also, final price was $100 below the estimate I received. Will definitely use again if needed. Once upon a time our moving company came to live in Columbus, Ohio, and we liked it so much, we never left! Locally owned and operated, our Columbus moving company offers a comprehensive selection of services including full service moves from start to finish, or labor only moves where you pack and box your own belongings and we transfer them. Since arriving in Columbus our little business has grown into a not so little business, moving clients of all types in moves of all sizes. Below you’ll find an outline of some of the services we provide. We hope you’ll call or stop on by to meet the team and get a free quote on your next move. Big or small, we handle the heavy lifting, so you can relax and focus on what’s important. Whether you’re moving down the street or across the city, you can rest assured we’ve got you covered. Going farther than the next block over? No problem! Our long-distance moving services will help you pack up, load up, and get your belongings where they need to be, no matter how far you’ve got to go. Not only will we help you get out of Columbus or central Ohio, we’ll help you get all settled in at your destination. Planning a long-distance move from away and Columbus is your final destination? Call Moving Ahead Moving Services and we’ll get you into your new home in no time. Don’t let miles get in the way of award winning moving and solid customer service! If you’re planning a move but don’t want to bring everything but the kitchen sink, we can help you store your belongings until you need them again. Sometimes moves get delayed and old houses are sold before new houses are ready to move into. Other times you might be combining households and may not need quite so much furniture all at once. Whether your home is undergoing construction, you’re moving to a furnished apartment for a temporary work position, or any other reason that might take you away from your possessions, we can keep them safe for you until you need them next. Our storage services include safe and secure lodging in one of our warehouses, and you can even schedule pickup and relocation of your belongings from home to storage or storage to home, at your leisure. This means no worrying about how to get everything into storage, paying one company for the move and another to keep things safe. With our experienced team of professional movers you get a one stop shop for all your moving and storage needs. For some families, the heavy lifting and transportation is no problem, but moving boxes are in short supply. We’ve got you covered here as well. Our high-quality packing materials will help you get started, pack up, and even load easier onto your truck. From boxes and furniture covers to dollies and slides, we’ll help you prepare for transit, so you aren’t left piling unpacked trinkets into car trunks and truck beds without proper protection. Random boxes and grocery bags might do the trick in a pinch, but getting enough materials together in a short time can be tricky and you don’t want to leave anything to chance when it comes to your valuables. Fragile possessions need wrapping in protective materials, material covered furnishings will need protective covers to keep fabric from becoming stained, damp, or torn during the move. There are plenty of packing supplies many moving families never even think about until the moment comes when they’re needed most. Lifting boxes and heavy furniture is taxing and not everybody is physically able to complete these tasks. Our movers are strong and capable and will be careful with your valuable belongings. For the heavy lifting in Columbus, call us to load and unload your moving truck. We’re flexible on time and our rates are highly affordable, especially when compared to similar services in the area. Save your back and your knees by passing the hard labor onto us. We’re happy to help and let you focus on more important elements of the move, such as caring for pets, children, and where you’re staying while your belongings are in transit and the new house is prepared. Our movers are trained in the art of lifting properly and use safety equipment for especially heavy items. Whether you’re moving a couch or a box of books, we can get your belongings onto the truck with little stress or physical strain to you. It isn’t just home moves that we specialize in; our team is experienced with commercial relocation as well. Your office space is filled with critical and expensive equipment, information, and other belongings. From desk chairs and filing cabinets to computers and fax machines, we understand the intricacies of moving an entire office from one building to another. Don’t miss a beat or miss more time at work than necessary. By choosing our Columbus moving company you’re guaranteed to be back at work as soon as possible, and your office will look fresh and new and each furnishing will be exactly as it was when you packed it. Columbus has seen an increase in economy over the years bringing many different businesses and professionals to this great locale. With new positions comes corporate relocation, and we’re happy to help you move to Columbus, get settled, and even put items into storage if you need it. Our relocation packages are competitive and fully customizable, because we know that no move is the same as the last. Whether you’re moving here on your own to get started at a new position, or you’re part of a group all requiring relocation moving assistance, you can count on us to get your belongings where they need to be. Stop your Search for a Columbus Moving Company! Find the right fit moving services for your next move. From full-service moving, packing and storage to everything in between, our flexible scheduling and expert support will guide you through every step of the planning process. Our available services cover packing and/or loading at your home, office or storage facility, as well as unloading, unpacking and reassembly at your destination. 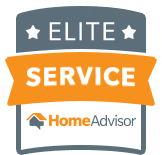 Start with your free moving quote, view moving reviews from customers like you, and talk with our pros today! Looking for a mover in Cleveland or Northeast OH? Click here. Looking for a mover in Cincinnati or Dayton? Click here.